Many denizens of San Francisco like to claim that their charming city tends to be ahead of the curve when it comes to arts, social issues and technology. More often than not they are right. Therefore it is hardly surprising that Arisebitcoin chose to kick off its first bitcoin awareness campaign in San Francisco. 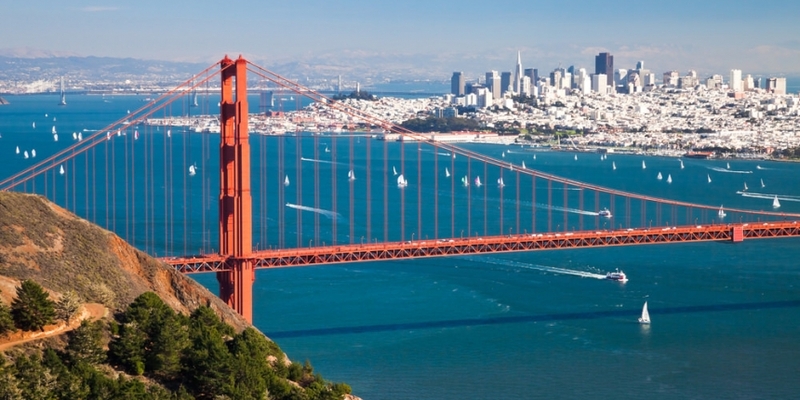 Dubbed “Hello San Francisco, Hello Bitcoin,” the project aims to bring bitcoin closer to the masses. It is a self-funded project designed to introduce users in the San Francisco bay area to bitcoin and provide them with the necessary resources to get started. The organisation says it is the first effort to gain the community’s trust and that it is only the beginning. Arisebitcoin is planning to put up 40 billboards across the bay area, from South San Jose to San Pablo and everywhere in between. Measuring 10 x 22 feet across, the orange billboards will not go unnoticed and the team believes they can put up all 40 posters over the next five days. The campaign officially started 27th December and it is scheduled to end on 27th January. The ultimate goal of the campaign, and Arisebitcoin itself for that matter, is to introduce new users to bitcoin. By attracting and educating new users the organisation hopes to accelerate the awareness and use of bitcoin. Design of the bitcoin billboard going up in 40 locations in the Bay Area. “Arisebitcoin considers every new user who visits our site due to our ‘projects’ a success. With the support of existing and new users, we will continue to promote bitcoin beyond anything attempted thus far,” the organisation said. According to a recent Bloomberg poll, 42% of Americans know that bitcoin is a digital currency, but quite a few of them still harbour misconceptions about the nature of bitcoin and its potential uses. However, 46% said they do not know what bitcoin is, while 6% believed it is an iPhone app. The poll also revealed that people under the age of 35 were a lot more knowledgeable about bitcoin and more likely to favour keeping it unregulated.